Very few horses are so aggressive that people decide to take the drastic route of euthanasia. Many times, something is causing the aggression and over time it can be fixed. 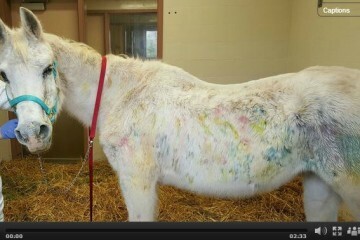 In this horses case, his owners decided to euthanize him before they found a huge source of pain. His necropsy photo shows what has to be the most painful mouth. He was LONG overdue for his teeth to be floated. If my mouth hurt like that, I wouldn’t let anyone near my face! Please remember, horses have limited ways to communicate with us. If you don’t understand what they’re trying to tell you, find a qualified veterinarian and trainer to help you! Share this on Facebook and help encourage people to have their horses teeth checked! Is Your Horse Sore? Watch This Video For Drug Free Pain Relief! 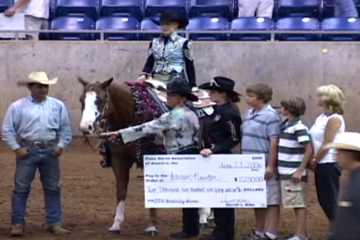 World Champion Rescue Horse – Please SHARE And Support Horse Rescue! AMEN!!! This is a great article on the horses teeth and about horses in pain! Im glad no one would put me down if I had bad teeth and it is unfair for such thing to happen to any animal. This is what i do for a living. I have hundreds of horses come to my farm that the owner says if I cant get it fixed they would have to put the horse down. 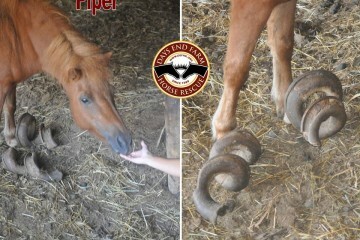 I go over the horse and find all the problems, be it chiropractic problems, veterinarian problems, or farriers problems. Once I get the pain found and fixed the horse becomes controllable once again. Its great that people are starting to help get the word out about horses in pain!! Check out my website @ http://www.goodhorsegonebad.com. Looking at teeth as a source of pain is one of the very basic, first steps you take when faced with ‘bad’ behavior. It’s sad that it had to live with this for so long, and that its humans were so uneducated as to own a horse and not know this. It is a great article.horses communicate well .people need to read and and not be afraid to ask.have patience with your horse.read his signs.they are totally dependant on u as an owner.many horses are stressed from being knocked from place to place with owners that are Only concerned with how much they can get paid for them.even God loves horses.the coast battle will be fought on one. Think. I think that there are more horses put down that could have been helped by you or others than we know. Very sad situation. In the early 1980’s I got to go to a Ray Hunt horsemanship colt breaking clinic. This awesome man travel the country teaching horse loving people how to gently start a colt in a round pen. He told us that he considered Himself the horse lawyer. He had each of the 21 students come with the toughest cases of bronc or spoiled etc. And showed us how to have a soft touch. He said most of the cases the horse that was bad, usually just had a stupid idiot person, at the wheel….if you know what I mean. I’ve never forgotten that wonderful realization of so many techniques. ..I’m 60 now, and crippled up, but I’m thinking I could at least do the steps in the round pen, get the saddle on and let someone else ride it first………probably not!! But ide like to dream I could. I’m located in Arlington, WA and like Ed, I also help rehabilitate horses. I take on rescues with physical and behavioral issues that often stem from abuse and pain. 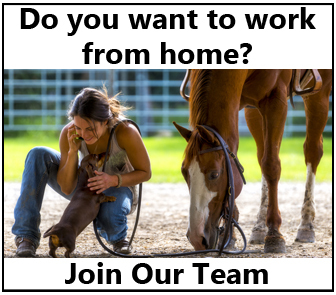 I also offer Mobile Training where I go to the clients in my Snohomish and South Skagit County to help find the true source of a horse’s issue. When a horse isn’t behaving, I look for a physical reason first, then training or possible abuse issues. With the rescues, I am often the first one to work with them to see what they know and what level of rider they need. Why didn’t the vet figure it out before euthanasia? Yes!!! This is exactly what I was wondering. Sometimes it isn’t up to the vet. They do not own the horse, so if the owner says euthanize, then that’s what they have to do. 2) you can work with your horse to show him that it doesn’t hurt any more (if it hurt before, he’s probably going to expect it to still hurt) and that you’ve got his back (you’re keeping him safe and never, ever, ever putting him harms way). These people should never had a horse if they didn’t know you have to look after there teeth. This horse suffered through them not knowing what they were doing!! Not just teeth, feet as well. I had a mare that had foundered badly before she came to me. Whomever had her before had been so harsh with her while she was in pain that she became violent anytime you went near her feet or touched her nose (from twitching). Stay above her knee or hock and she was just the sweetest mare you could ask for. Get below and she would try to kill you. We even sedated her to try to get her trimmed and she still went ballistic when the farrier touched below her knee. Sadly she injured her hoof in a pasture accident and we knew we could never trust her to be safe to treat. Not her fault, but she paid the ultimate price because someone thought they had to be harsh instead of being patient. Very sad. So why did the vet that killed this horse not check out the teeth or ask questions about the horse? If the vet had never floated the horse’s teeth or done vet work? This is negligent. These people were too stupid to have a horse in the first place. Chegada a Lisboa, a belíssima capital de Portugal. good quality so I guess I will add you back to my everyday bloglist.